The first military construction project fully funded by the European Deterrence Initiative was opened last week. An aircraft maintenance hangar at Estonia’s Amari Air Base may seem inconsequential, but the project is part of a multi-year plan by the U.S. military to build infrastructure and deter a possible conflict with Russia. The project’s completion was celebrated by U.S. and Estonian air force officials with a ribbon cutting ceremony. In addition to the hangar, the $13.86 million construction project also includes a hazardous cargo pad, squadron operations facility and a dormitory. The dormitory won’t be completed until the spring of 2019. The European Deterrence Initiative, or EDI, began in 2014 — several months after Russia’s annexation of Crimea — and is intended to deter Russian aggression in Europe. In all, more than $38 million in EDI funds are being invested at Amari Air Base, according to an Air Forces in Europe press release. 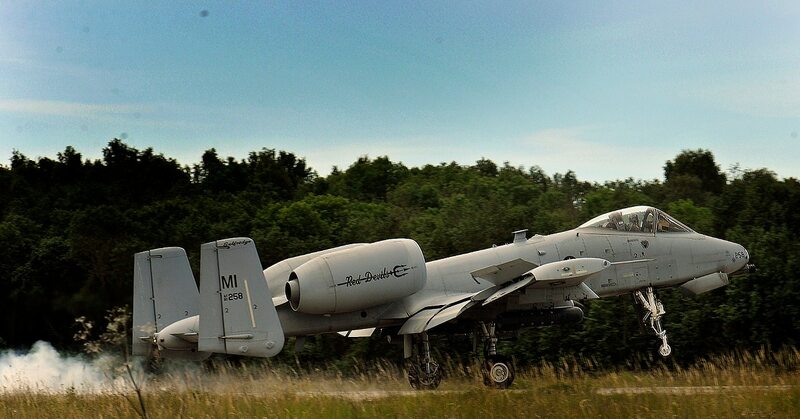 A-10 Thunderbolt IIs are among the U.S. assets that trained across Estonia this summer in support of multinational exercises like Saber Strike 2018 and BALTOPS. Beyond training, a joint maintenance facility will also provide for NATO aircraft conducting air policing in Eastern Europe, according to Estonian air force chief Col. Riivo Valge. NATO air policing is a peacetime mission that aims to safeguard the integrity of member-states' airspace through the use of national aerial surveillance systems, air traffic management and interceptor aircraft, according to NATO’s website. Since NATO-led air policing began, Estonia has hosted allied aircraft on standby 24 hours a day, seven days a week. These construction projects help to facilitate those operations, Valge said. In addition to supporting the security of NATO airspace, EDI-funded projects enhance the U.S. deterrence posture. The Pentagon has been pre-positioning Air Force basing assets and making significant airfield improvements in Europe over the past year. In a conference call with reporters this summer, U.S. Air Forces Europe Commander Gen. Tod Wolters said he expects even more funding to be coming down the pipe for other projects. 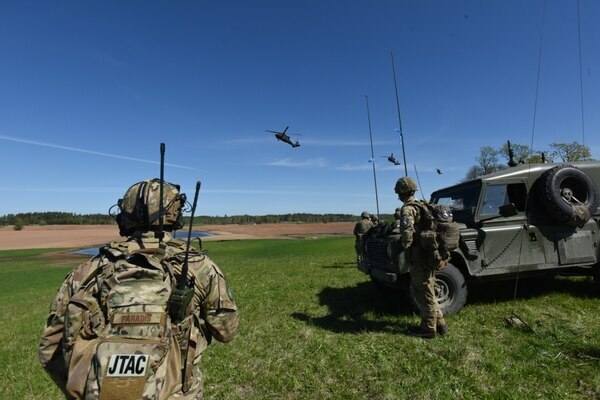 “Looking into fiscal year 2019, we are proposing a [European Defense Initiative] budget that demonstrates the U.S. commitment to NATO,” he said. “Our total [U.S. European Command] request includes a significant funding increase from $4.7 billion to $6.5 billion." In addition to improvements at Amari Air Base, another $56 million from the 2018 budget was pushed to Kecskemet Air Base, Hungary, to pay for fuel storage, taxiway construction and other base improvements to accommodate the F-15, A-10 and C-5 transport aircraft. There are also plans to build a munitions storage facility at Malacky Air Base, Slovakia, and to build a taxiway at Rygge, Norway.